I noticed a new-to-me challenge today and it is the Mod Squad Challenge. I think it caught my eye because it is sponsored this week by Gina K. Designs. Anyway, the challenge is called Have a Heart and the requirement is to have a focal image heart on your project. Easy peasy this time of year! 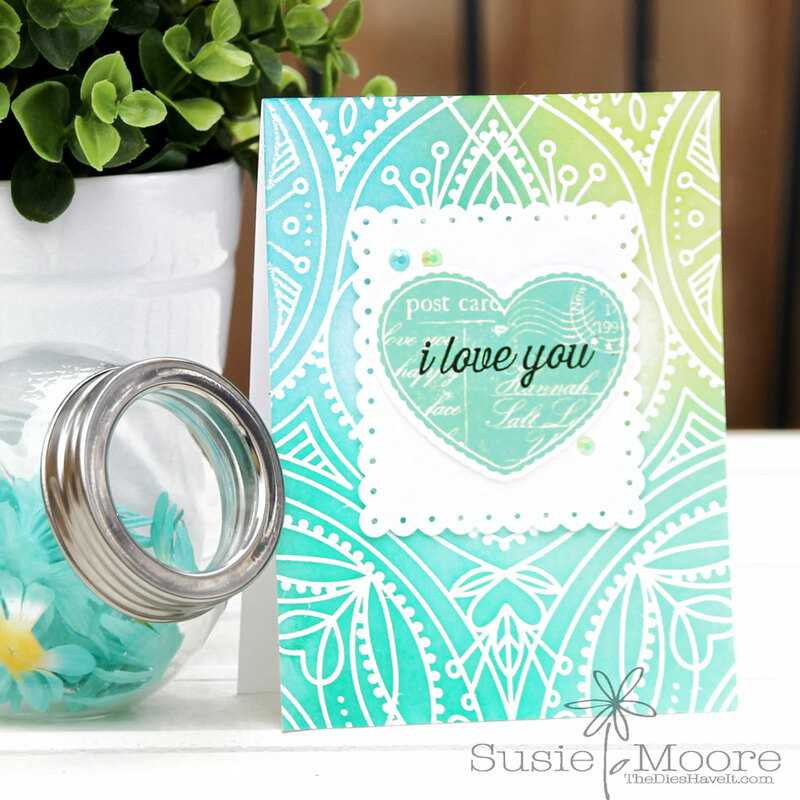 I used products from Simon Says Stamp and MFT Stamps to make my card today. I'd say the heart is the focal image here!